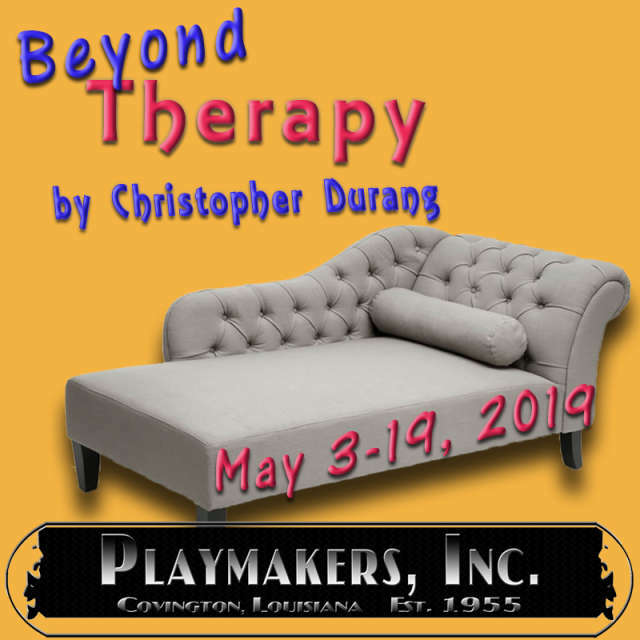 Playmakers, Inc. presents Beyond Therapy by Christopher Durang, onstage May 3-19, 2019. A Manhattan couple seek stable romantic relationships. The psychiatrist for each suggests a personal ad in the paper. Performances are Fridays and Saturdays at 8pm and Sundays at 2pm. Tickets are $20 for adults, $10 for students. Playmakers now has reserved seating! Pick your seats and buy tickets at www.playmakersinc.com. Located approximately 4 miles north of Covington at 19106 Playmakers Rd., off Hwy. 437/ N. Lee Rd. At Playmakers Rd., turn left and follow through the San Souci Forest to the end of the road. You will be directed where to park. Playmakers, Inc. is a 501(C)3 organization founded in 1955. 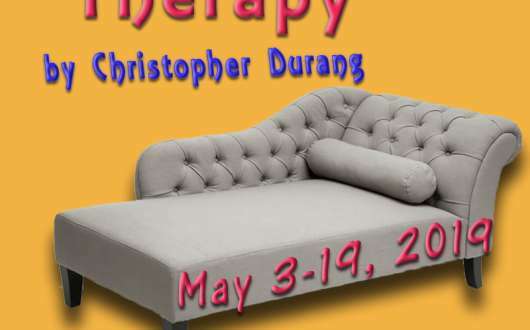 It is supported by a grant from the Louisiana Division of the Arts, Office of Cultural Development, Department of Culture, Recreation and Tourism, in cooperation with the Louisiana State Arts Council, and as administered by St. Tammany Parish. Funding has also been provided by the National Endowment for the Arts, Art Works.